Just hearing the word “chemo” scares the heck out of most of us after what we’ve either seen in movies or on TV and what we’ve been told by our loved ones that have endured the treatments of chemo. Oh! I must also include how it seems the oncologist frightens us by using the fear tactics. If this is what anyone is facing, it can be very hard and have side effects, but some things of what certain people have been through with chemo might surprise you. Camille Noe Pagan has listed some of the things. Marisa C. Weiss, MD, and author of Living Well Beyond Breast Cancer reveals that one of the biggest things patients complain about is how many people share cancer “horror stories” with them while they are in the middle of treatment. She suggested thanking them for caring, but let them know you do not want to hear stories about other people and their experiences right then. Dana Kuznetzkoff, a New York film, and TV producer was treated for lymphoma in 2010 and suggested that you talk with the nurses, as they are the ones who will tell you exactly what you need to know. She suggests also that you should listen to other people who’ve been there or who are involved in your care. Most realize they will lose their hair but quite often they are not told their nails might fall off as well. It is important to know just what reactions might be possible when taking chemo. There are many types and the side effects depend on what kind you get and how your body reacts to it. Common effects are hair loss and nausea, but not everyone has that happen. There might also be trouble with memory and concentration, feeling dizzy or having pain and numbness during or after chemo. These are not usually talked about. You are a person with a full life and not just a cancer patient, so even those little daily routines can give you comfort as an anchor when cancer rocks your world. Be realistic about it though and keep flexible. Working during treatment is fine as long as you feel well enough, but take the time off following a treatment or when you most experience negative effects. Most want to make their own decisions and take care of themselves. If they enjoy working, then they should continue as often as they feel capable. Speaking with a counselor for support can help. Feeling depressed when chemo’s finally over is a normal feeling. Friends and family may want to celebrate the end of your treatment because they don’t realize you may feel blue, anxious, let down or even scared. When you are done with treatment, everything and everyone goes back to normal and you are still experiencing mental and physical side effects, so you still need that support. Counseling, support groups, exercise and taking time for yourself can help you feel better and ease back into your post-treatment life. An alternative treatment is usually without extreme side effects, so checking that out is another option for those facing chemo. This entry was posted in Alternative Medicine, Blog, Cancer, Life on January 25, 2019 by Fredda Branyon. Have you heard the latest? Oxford University have developed a unique way to identify existing drugs that could potentially be repurposed for treating Parkinson’s by putting together the cutting-edge stem cell technologies and computational biology. This research was published in the journal Human Molecular Genetics, and uses a stem cell technique to change a small piece of skin from those with Parkinson’s into dopamine-producing brain cells which is identical to those that are lost in Parkinson’s. The patterns of gene activity in these Parkinson’s brain cells were studied and compared to those observed in the same brain cell types grown from people of a similar age without the condition. Investigator at the Parkinson’s UK funded Oxford Parkinson’s Disease Centre, Dr. Caleb Webber and co-lead author of the study, found the following. When gene activity between Parkinson’s brain cells and healthy brain cells grown in the lab were compared, they found key differences. These chances are like a Parkinson’s fingerprint and can tell why the cells die in Parkinson’s and how they might save them. They can now study the behavior of brain cells grown in a dish and learn important new things about the real human condition. A global database was used which holds information about the effects of thousands of different drugs, many already in clinical use, to look for ones that could normalize the gene activity of the Parkinson’s brain cells. A drug named clioquinol that was developed in the 1930’s and still used today in creams to treat skin infections was identified. Taken orally over extended time, it can have serious side effects. As originally developed, clioquinol is unlikely to be a future treatment for Parkinson’s, but new drugs based on clioquinol may deliver the benefits without the risks. Co-lead author on the study and head of the Oxford Parkinson’s Disease Center, Professor Richard Wade-Martins said they are excited by the power and precision of this new approach for identifying drugs that could be helpful for Parkinson’s. They were able to tap into huge global databases of information about drugs and this provides a short cut to laboriously test each drug individually in the lab. Being able to immediately identify clioquinol with this new approach is exciting. Dr. Arthur Roach, Director of Research at Parkinson’s UK, funders of the research, believes there is a desperate need for new and better treatments for Parkinson’s and this research opens up a unique and speedy avenue for identifying drugs and compounds that have serious potential. The next step would be to convert interesting leads like this one into effective treatments that can go forward to be tested in clinical trials, as they are planning to do through the Parkinson’s UK Virtual Biotech. They are planning to invest money over the next three years to make new and better treatments a reality for people with this condition. This entry was posted in Alternative Medicine, Blog, Life on January 9, 2019 by Fredda Branyon. Emu oil has many uses, benefits and also side effects. Jon Johnson has written an article that was reviewed by Debra Rose Wilson, PhD, MSN, RN, IBCLC, AHN-BC, CHT on the benefits, possible risks and side effects of emu oil. The popularity of emu oil usage has increased recently due to health claims surrounding its uses and benefits. Be sure to understand what it is used for and what your possible health benefits might be. More importantly, learn about the possible risks and side effects of using the oil. The flightless emu bird is scientifically named Dromaius novaehallandiae and is native to Australia. Because of a rising popularity of nutritious emu meat and medicinal emu oil, it is now found in many countries. The oil is a bright yellow liquid made up of mostly fat, which is collected from the deposits below the skin of the bird. The fats are collected and then passed through various filters and processed until pure oil is produced. This is a product with unique benefits that is widely used. Emu oil comes in different types, based on different levels of filtration and processing. Most of the oils go through full processing in order to reduce bacteria and contaminants, but some are refined in order to create higher contents of fatty acids. 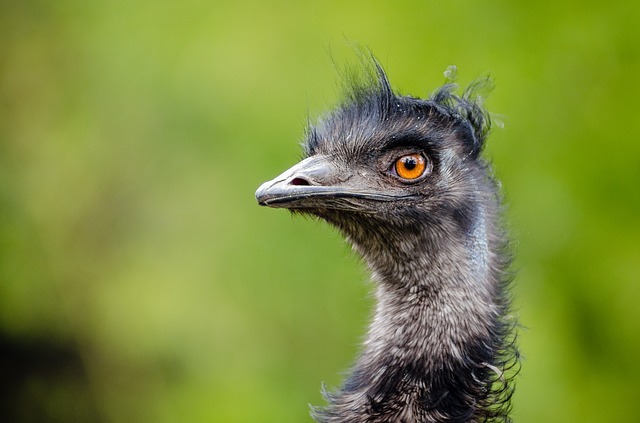 The American Emu Association and some other organizations have certification programs that aim to ensure that the emu oil we buy is pure, and that the emus enjoyed the best possible lives. The completely pure oil will always be fully refined and is the type of emu oil studied for its beneficial effects. The emu is the second largest living bird by height. The use of emu oil originates from the Australian Aborigine culture and been used for over 40,000 years. Relieving minor aches and pains, helping wounds to heal quicker and protecting skin from the elements are some of the oil’s uses. It was originally introduced into the European culture by the Aborigine as a natural sunscreen and moisturizer. They soon adopted the use of the oil and many other natural remedies that the Aborigines provided. People have since discovered many more benefits. Using the emu oil as an anti-inflammatory is the most popular benefit. Researchers noted that the anti-inflammatory effect of this oil may be beneficial in treating conditions like ear inflammation, inflammatory bowel syndrome and even to prevent bone loss. Massage therapists use it to help treat people with arthritis. Emu oil is easily absorbed into the skin that will help lock in skin moisture, making the skin less prone to cracking or drying out. During cancer radiation, it is also suggested for dry skin treatment. This absorbable trait can be passed on to other compounds when they are mixed together. Other uses for the emu oil is to help increase the number of healthy skin cells and conditions like alopecia, rosacea, hypopigmentation, shingles and dermatitis. It can be applied to small wounds, cuts, bruises or burns and to ease the pain of minor wounds and protect the skin from additional damage. Use it as a bug repellant because of the substances called terpenes found in the oil. More uses are reducing cholesterol, ulcers, and for use in breast sensitivity. Emu oil contains high amounts of polyunsaturated fatty acids, antioxidants and compounds as omega-3, omega 6 and omega 9 fatty acids. It also contains vitamin A and additional compounds like carotenoids, flavones, polyphenols, tocopherol and phospholipids. There are few documented side effects as emu oil is a natural product. Applying directly to the skin as a topical may cause some skin irritation, so use a small patch of skin as a test. This entry was posted in Alternative Medicine, Blog, Health & Lifestyle on January 4, 2019 by Fredda Branyon. Astragalus oil is from the root of a plant known as Astragalus membranaceus, that has various names like Huang Qi, Bei Qi and Hwanqqi and is native to northern China and the elevated regions of the Chinese provinces like Yunnan and Sichuan. 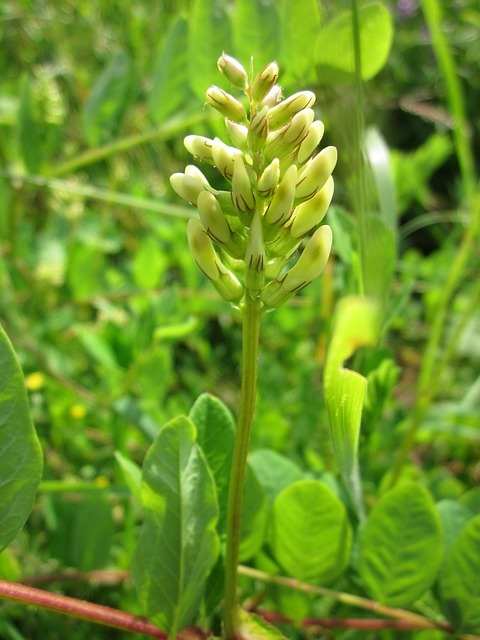 The astragalus is a member of the pea family and coined Huang Qi that means yellow leader because of the yellow root. It has a sweet-smelling yellow blossom and a hairy stem that grows best in sandy, well-drained soil under the sun. This particular plant and its uses were discovered by a Chinese herbalist named Shen Nong, almost 5,000 years ago. He created a detailed record called Shen Nong Pen Tsao Ching that listed about 300 plants that he had discovered and this record served as a log of his research. Some uses of the astragalus oil is to strengthen and replenish qi, the body’s life force and protective energy, or as we know it, the immune system. No studies have been reported about the cosmetic use of this oil, so, for now, it’s best to use for massages. The root can be made into other products like liquid extracts, tinctures, teas and creams for topical use. Some products containing traces of this plant were useful in helping to treat chronic weakness, fatigue, weak digestion, shortness of breath, bloating, ulcers, low immunity, heart failure, HIV/AIDS, night sweats, nephritis, low adrenal energy, urinary tract infections and chronic colds, allergies or flu prevention. The astragalus plant contains polysaccharides, saponins, flavonoids, amino acids, trace elements, essential oils, organic compounds, minerals, dietary and crude fiber, bitter compounds that increase the flow of urine and mucilaginous compounds that enhance immune response. Benefits of astragalus oil are to bolster immune function, increase white blood cell count, helps to stimulate production of antibodies, improves digestive health, improves overall function of the heart and cardiovascular system, promotes metabolic function, helps to manage diabetes, promotes normal cholesterol levels, enhances liver and kidney function, assists in increasing bodily resistance to virus and bacteria and helps cure stomach ulcers through the inhibition of gastric secretions and reduction of gastric acid. The plant can help your body by relaxing the blood vessels, lowering blood pressure, stops fatty plaque deposits from clogging arteries, enhances body energy, aids in decreasing acidity level in the stomach and reducing blood sugar levels. It is best to avoid consuming the plant or the oil if you are pregnant, breastfeeding, have undergone surgery or suffering from illnesses as autoimmune diseases, multiple sclerosis, psoriasis, rheumatoid arthritis, type 1 diabetes or systemic lupus erythematosus. No recorded incidents of ill effects of astragalus have been recorded, but be sure to take note of the potential side effects of increased visibility of pimples and blemishes, increased effects of some antiviral meds, interference with actions of diuretics, phenobarbital, beta-blockers and anticoagulants, rise in growth hormone levels, allergic reactions or counteracting of the immune-suppressing effects of cyclophosphamide. This entry was posted in Alternative Medicine, Blog, Healthy Living, Nutrition on December 28, 2018 by Fredda Branyon. Anise oil has a licorice-flavored taste that offers body-wide benefits that were used by many ancient civilizations. Many of today’s pharmaceuticals take advantage of anise’s benefits by adding this herb to some drugs, like cough syrup and throat medications. These drugs are neither all natural nor safe according to pharmaceuticals. It needs to be used in its natural form for maximum benefits, or as anise oil. 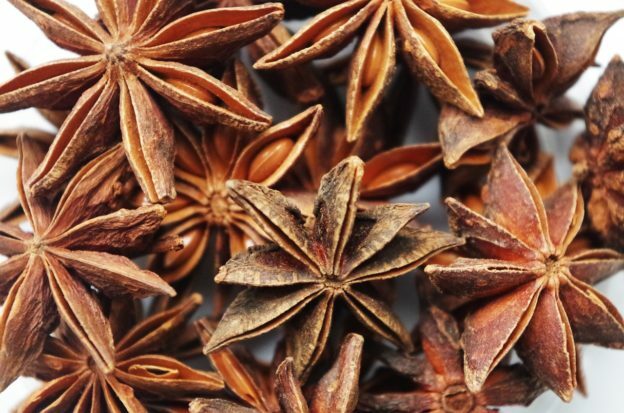 The anise essential oil originally came from Asia and is prevalent in Mediterranean nations. Spain, France and Russia also produce it as well as being found in the wild of other countries. The Romans originally introduced anise to Europe and early settlers brought it to North America. One primary use was to promote digestive health and was often added with cumin and fennel in ancient Rome to a cake that was eaten after meals. The Egyptians used the herb as an ingredient in breads. There are many uses for anise oil that range from cooking to flavorings to medications. Anise oil has antibacterial, antifungal, antioxidant, stimulant and expectorant properties and is added to medicines, such as cough syrups and lozenges. The antibacterial properties of this oil are useful against bacterial strains like Staphylococcus aureus, Streptococcus, pyogenes, Escherichia coli and Corynebacterium ovis. It is useful against Candida albicans and fungal strains like Alternaria, Aspergilus, Cladosporium, Fusarium and Penicillin. Relieving indigestion, flatulence and acute chest pains are also benefits of anise oil as well as spasms, cramps, diarrhea, convulsions, muscle pain, acute chest pain and will also aid in promoting the elimination of excess gas in the digestive system. The oil will help to loosen mucus or phlegm and help ease breathing troubles as asthma and other respiratory issues. Five drops of anise oil mixed with 1 tablespoon of almond oil that is massaged onto your stomach will relieve stomach cramps, mixing 1 to 2 drops with warm water to gargle with will freshen breath, using 2 to 3 drops in a diffuser helps respiratory conditions, a couple drops in a carrier oil and massaged in the affected area will ease menstrual pain. Anise oil will also help treat hiccups and treat nausea, migraine and vertigo. Anise oil is deemed generally safe for human consumption and does not pose a threat when it is consumed or used in moderation. In heavy doses it can aggravate certain type of cancers. Pregnant and nursing women may benefit from its use. Avoid administering the oil directly on the delicate skin of infants and young children. Any side effect might be an allergic reaction, mouth or lip inflammation or nausea, vomiting or seizures. If any of these occur, call your doctor immediately. This entry was posted in Alternative Medicine, Blog, Healthy Recipes, Nutrition on December 10, 2018 by Fredda Branyon. An article written by Amanda Gardner sheds a little light on the whys and hows of prescription drug abuse. Most often this happens when a patient is prescribed a very strong drug to treat a multitude of pain issues. It might take away the pain but then some end up enjoying the euphoric numbness that they receive far beyond the end of the actual pain. According to one teen who was interviewed, he was eventually popping 45 prescription pain pills a day, with the strongest one being hydrocodone. He was also abusing tranquilizers like alprazolam and diazepam. This addiction overtook him and he eventually hit rock bottom. Next came the stealing of pain medications from his mother who was dying of cancer. This left his mother crying because she had no medication left for herself and kept her in severe pain. That is what finally took this teen to seek help. Following an operation or an injury, the doctor almost always will prescribe some pain medication. But, when that person decides they like this effect, they will end up going from doctor to doctor, receiving multiple prescriptions of the painkiller. Just a visit in one day to various doctors can get enough pills to fuel a habit. This is called “doctor shopping” and is a serious problem. There is no way of knowing how many people in the U.S. are hooked on prescription drugs. Only the overdoses can be easily tracked, but the experts think that more than 8 ½ million Americans are abusing such medications. Quite often, and quite sad, they start at a young age. About 8% of high school seniors have reported they used the painkiller hydrocodone for non-medical reasons during the past year. It’s impossible to know who will become addicted. There are some who use a prescription painkiller but don’t become hooked on them. One thing that can raise your risk of prescription drug addition is if you have already abused another substance like alcohol or cocaine. This puts you at a higher risk. 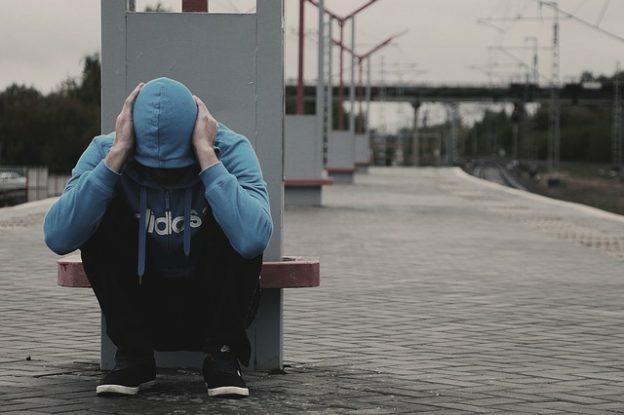 Your chances are higher of abuse if you have family members with addiction problems, according to Howard Forman, MD, a medical director at Montefiore Medical Center in New York City. This might be because you have inherited genes that will make you more likely to become addicted. 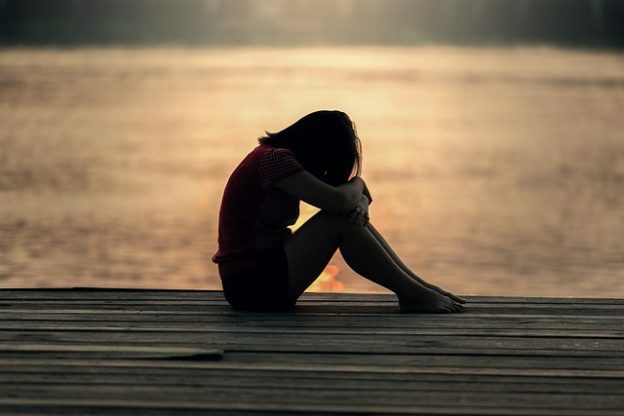 Also, those who have gone through childhood trauma such as physical or sexual abuse, losing a parent, or violence, can also have a higher risk. Those who live in a place where prescription drug abuse is common might also be more likely to become addicts. If an anxious person is given oxycodone and has a mental illness, it also increases the likelihood of addiction. After the pain is gone, the medication has powerfully helped their distress and they could now become hooked on it. Those who have problems such as anxiety and depression are more likely to use the painkillers on a long-term basis. Drug addiction has risen with the availability of these drugs and can result in death. More people are now dying from overdoses of prescription drugs than they do of illegal drugs like heroin or cocaine, according to Jim Davis of the New Mexico Department of Health. Much of this is driven by the availability and there is a lot of effort now going on into trying to push that down. Nationwide the number of prescriptions being written has jumped dramatically by as much as 400% in the last decade or so. About 259 million prescriptions for painkillers were written in the U.S. in 2012. 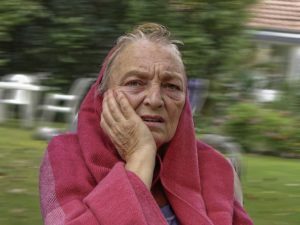 Legitimate pain should be treated with legitimate treatment, and this should not be interfered with, but how do you know when someone you love truly does need the pain meds or if are misusing them? This entry was posted in Alternative Medicine, Blog on November 2, 2018 by Fredda Branyon. Most older women are prescribed statins that have high levels of blood cholesterol, but the effects of the drug have not been well-studied in this group as it seems was done in other groups. There is currently a new study from Australia that find older women taking statins to lower cholesterol may have a significantly higher risk of developing diabetes. This research was conducted by a team at the University of Queensland (UQ) in Brisbane, Australia and is published in the journal Drugs & Aging. More than 8,000 women aged 75 and over and taking statins had a 33% higher chance of being diagnosed with new-onset diabetes in the study. 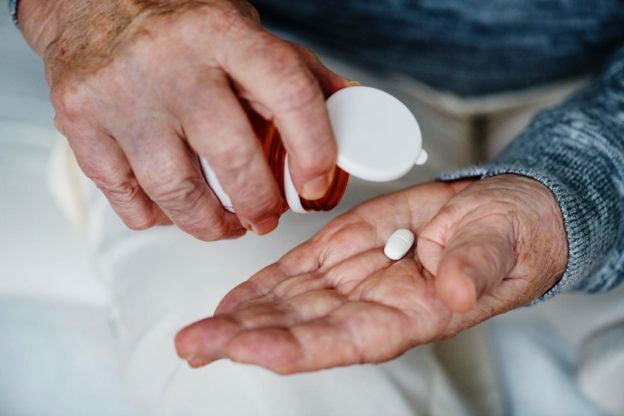 Dr. Mark Jones, the lead author of the UQ School of Public Health says that statins are highly prescribed for this age group and there are few clinical trials studying how they actually affect these older women. The majority of research is on 40 to 70 year old men and not the women. This class of drug is designed to lower blood cholesterol, which is mostly made in the liver. By reducing liver production of cholesterol is also helps the liver to remove cholesterol from the blood. The body does need cholesterol, but if there is too much of it in the blood it can lead to a buildup of plaque in the walls of arteries that is a risk factor for stroke and heart disease. These are the leading causes of death for men and women in the United States. To reduce or prevent unhealthy cholesterol levels we should start with changing our diet and increasing physical activity. Dietary and lifestyle changes may be enough to keep some people’s cholesterol levels in check, but medication may be needed for others, especially if they have other risk factors for heart disease. Several medications to lower cholesterol in the blood are available, but the ones most recommended as a cholesterol lowering drug linked to a reduced risk of heart attack and stroke are the statins. There was a 10-fold increase in statin use by people aged 45 and over in the U.S. from 1988-1994 to 2005-2008. There was also a corresponding drop in people with high cholesterol over this period, which may or may not be due to increased use of statins and other cholesterol-lowering drugs. In a 2015 report from the Centers for Disease Control and Prevention (CDC) it concludes that fewer than half of people in the U.S. that are eligible to take cholesterol-lowering medications, are actually taking them. Dr. Jones and his colleagues analyzed data on 8,372 women born between 1921 and 1926 who took part in regular surveys as part of the Australian Longitudinal Study on Women’s Health. They were free of diabetes at the start of 2003 and the team assessed statin exposure based on prescriptions dispensed between 2002 and 2013. Upon following 10 years, the team found that 49% of the women had filled prescriptions for statins and 5% had begun treatment for new-onset diabetes. It was revealed through statistical analysis that statin exposure was linked to a 33% higher risk of developing diabetes. Up to 51% risk increase was shown for the highest dose of statin usage. The team was most concerned to find this dose-response effect between statin use and risk of diabetes, as over the 10 years of study most of the women progressed to higher doses of statins. Doctors and their elderly female patients should be aware of these findings and Dr. Jones urges those elderly women taking statins to be carefully and regularly monitored for increased blood glucose to ensure early detection and management of diabetes. This entry was posted in Alternative Medicine, Blog, Health & Lifestyle, Life on October 15, 2018 by Fredda Branyon. The immune system takes a real hit with multiple myeloma and makes it much harder to fight infections. For this reason, your immune system is a focus in many of the mainstream treatments for multiple myeloma. You might want to consult with your doctor to consider the different immune system drugs out there, what they do and how they work. You may also want to speak to an alternative physician to educate yourself on more natural ways to fight cancer. Biologics are medicines that believed to help your immune system to control your myeloma. These drugs are made from living organisms and some can boost the immune system to help the body fight the disease. Some suppress it to do the same thing and yet more destroy cancer cells directly or reduce the side effect of other treatments. We at New Hope Unlimited believe it is best to use your own biologicals to enhance the immune system. But for the purpose of this article, I am reporting on what mainstream medicine is doing with a lot of synthetic drugs. There are three medications taken as pills that is said to help your immune system point out and attack cancer cells. They are also called immunomodulators or immune-modifying drugs. Thalidomide (Thalomid) that lowers the blood supply to cancers. Prior to its use to treat myeloma in the late 1990’s, it was used as a sedative and nausea medication for pregnant women until it was found to cause birth defects. 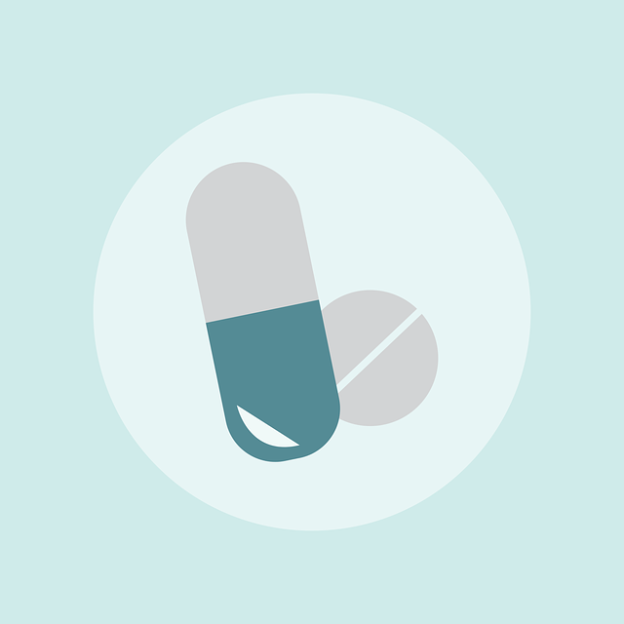 Lenalidomide (Revlimid) is a stronger form of thalidomide and has fewer side effects, but it can still cause numbness, rashes and fatigue that thalidomide does. They both have a risk of shortness of breath or seizures. Pomalidomide (Pomalyst), the newest drug of this type, which was approved by the FDA for multiple myeloma, is similar to the others. One big difference is that it has been found to be effect longer. Common side effects of all three of these drugs include low blood counts, a “pins and needles” feeling or pain in the arms and legs and a higher risk of blood clots that can travel to the lungs from the leg. There are even more side effects for each drug that your doctor will discuss with you. The drug interferon boosts the immune system and encourages healthy cells to move toward the cancer cells to destroy them. This drug is injected into the skin 2 to 3 times a week and you may feel flu-like symptoms after it’s given to you. Monoclonal Antibodies are man-made and supposed to work on one type of target. Daratumumab (Darzalex) attaches to multiple myeloma cells and will kill them and signal your immune system to attack them. If one of the other treatments hasn’t worked, you will get this one. There may be a reaction a few hours after getting the drug such as coughing, wheezing, trouble breathing, runny nose, headache or rash. If any of these happen to you, your doctor may need to adjust your dose or add another medicine with it to lessen or stop your symptom. Elotuzumab (Empliciti) works much in the same way as daratumumab with the same reactions and side effects. More side effects are weakness or numbness in your hands and feet and respiratory tract infection. Some biologics are in development in clinical trials. Your doctor might suggest you join in one of these to try. They are adoptive T-cell transfers, which use the body’s T cells (white blood cells that help fight disease) to destroy the cancer. Vaccines would work like more-common vaccines to jump-start the immune system to attack cancer cells. Wouldn’t there possibly be a natural alternative treatment to build the immune system? Consult with your doctor as to the best drug that will fit for you. There are many options for edications listed above. This entry was posted in Alternative Medicine, Blog, Cancer, Health & Lifestyle, Immune system, Life on October 8, 2018 by Fredda Branyon. 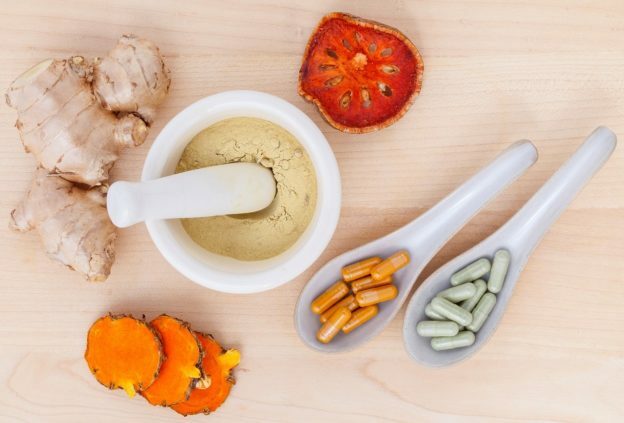 Choosing the complementary medicine best suited for your type of cancer can be a daunting and overwhelming decision. My opinion is a true integrative program of science based protocols that are done outside of the United States. However, many people are unable to travel outside of the US. There is some helpful information on integrative treatments that have the best evidence behind them or are the most widely used. 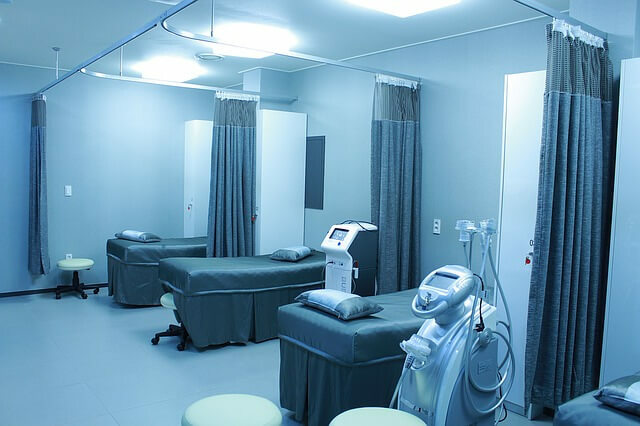 This is not a replacement for traditional medical care but to be used alongside your chemotherapy, radiation or surgery. Talk with your doctor about any of the therapies you are thinking of trying. Some natural therapies can have side effects and interactions just like the conventional treatments. · Acupuncture & Acupressure to relieve pain and other symptoms. This can reduce nausea associated with chemotherapy and reduce cancer pain. Adverse effects are rare. If you are prone to bleeding, make sure acupuncture is safe for you. · Biofeedback is instruction in how to control some of your body’s automatic responses like heart rate and using monitors. This can reduce stress, chronic pain and insomnia. There are no risks involved. · Chiropractic Care is a manipulation of the joints and skeletal system. There is evidence it reduces back pain and headaches and is relatively safe. It can occasionally cause injury and those prone to bleeding, have weak bones, nerve damage or other health issues should check first with their doctor. · Massage is kneading and rubbing of muscles and soft tissues that can reduce stress and anxiety and possibly cancer pain. Risks are low but those prone to bleeding, have weak bones, nerve damage or other health issues should check with their doctor. · Meditation & guided imagery will help you to calm yourself using breathing exercises, repeating a word or imagining yourself in relaxing places. It can reduce pain, stress and anxiety. Imagery may reduce the side effects from chemotherapy and there are no risks. · Nutritional counseling is guidance on eating a healthy diet that can make you feel better and maintain relaxation while easing pain. There are low risks but avoid extreme diets that restrict food groups. · Reiki, Tai Chi and energy therapies realign energy in your body using movement or pressure that reduces stress and improves quality of life. Typically a low risk except for those with health conditions like arthritis and heart disease. · Supplements and alternative medicines is the use of vitamins and alternative medicines extracted from plants. Some may ease symptoms from cancer and its treatment and others for their effect on cancer. Risks in this category greatly vary depending on the drug. Never take a supplement, herb or botanical without your doctor’s approval as some can be dangerous and cause drug interactions. Hopefully, the above listing will help your decision making go a bit easier. If in doubt you should always consult with your physician. You can always Google the alternative methods to learn more about them. 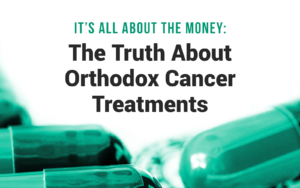 This entry was posted in Alternative Medicine, Blog, Cancer, Chronic Illness on August 27, 2018 by Fredda Branyon.